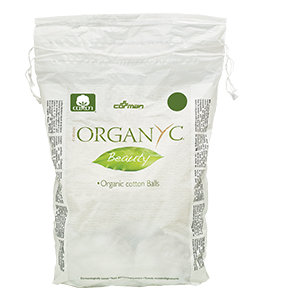 100-count cotton balls are made from 100% certified organic cotton, which makes them great for use when used with cosmetics or other body care products. 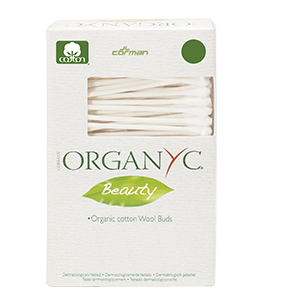 200-count swabs are made with certified organic cotton and recyclable cardboard stems, these cotton swabs are soft and comfortable, making them ideal for daily body care and cosmetic use. Box is made from recyclable and biodegradable materials. 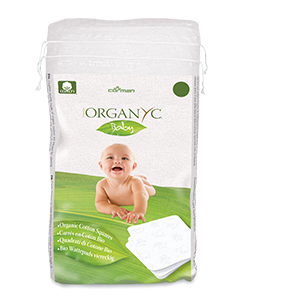 60-count Organyc baby wipe squares are made with 100% certified organic cotton and an organic formulation that includes chamomile and calendula extracts. 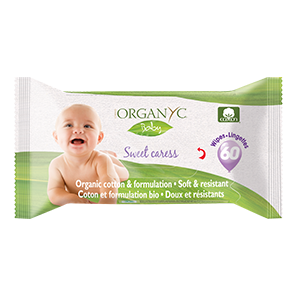 These wipes are free from alcohol, SLS and parabens and have a moisturizing effect, which is perfect for cleaning your baby’s soft, delicate skin. 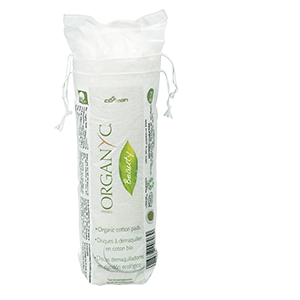 60-count Organyc cotton squares are made of 100% certified organic cotton and are perfect for using with baby oil or water to clean your baby’s soft, sensitive skin. 70-count 100% certified organic cotton rounds are soft, but strong, which makes them great for use when used with cosmetics or other body care products.